We like pumpkin and for halloween we decide to create with our raspberry pi a motion sensor. 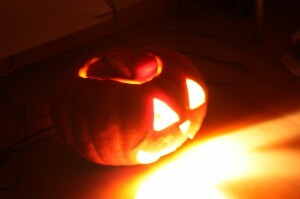 The idea is simple, when somebody is in the piece, the lamp is putted on. First step, we install a debian on ourraspberry pi. 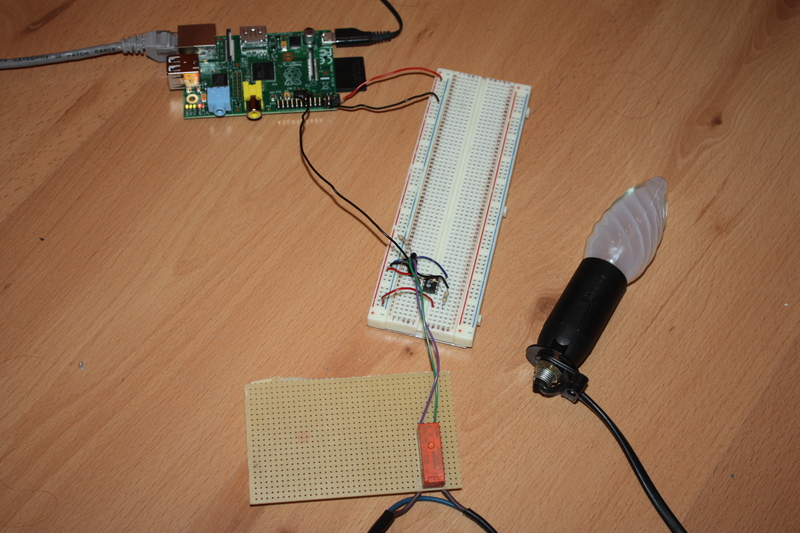 Second step, we need to start a lamp with the gpio of the raspberry pi. 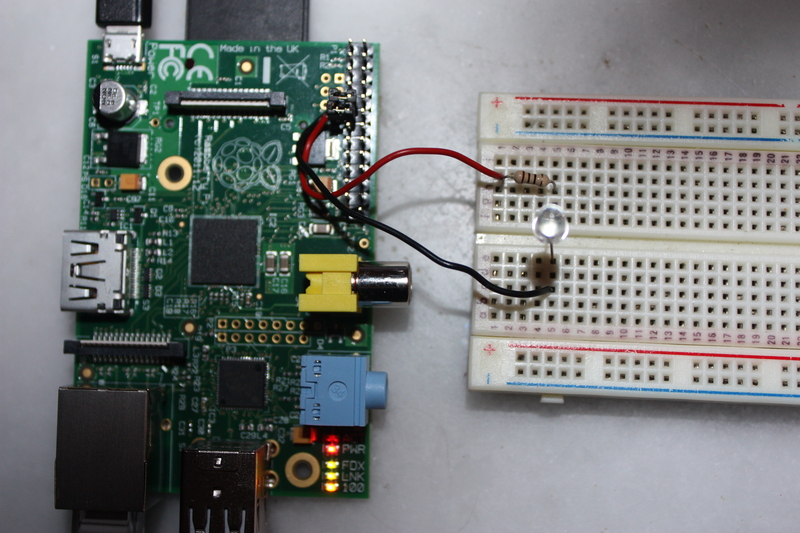 GPIO are input output spindle, we can have a high voltage (3.3 V) or low voltage ( 0V ). We can see on the following picture, how to are the GPIO dispatched. The first thing we do was to put on a LED. This was done by simply connecting a LED to the GPIO 17 and a resistor in serie. In practice, we could use a infrared motion sensor. However we only have a webcam, and it’s more challenging with a webcam. The code is available in the archive. // We count the number pixel difference of the image 1 and image 2. 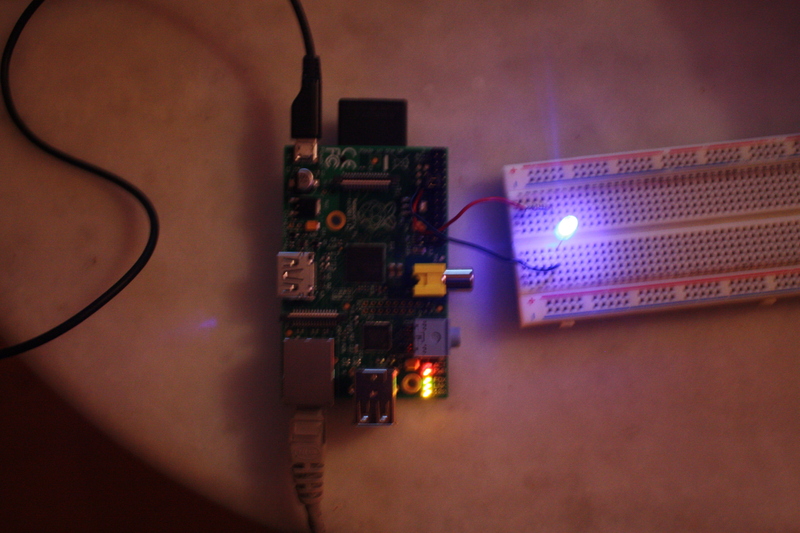 Ok, now the program works but we have a problem with GPIO . to put on our lamp we need 5V. For this reason we use a relay in 5V. 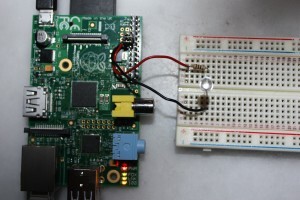 However, the raspberry pi ‘GPIO can only provide 3.3V. We need to amplify the signal. 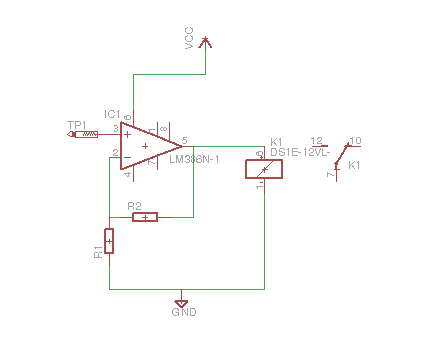 We use the output 5V of the raspberry and an audio amplify (LM386) in non inverting scheme.